How many slices are in a large pizza? How many pizzas for 30 people, then? Did I get the best deal? Picture this: you're throwing the most legendary party your friends have seen in years. There's music, there's dancing, there's even an epic game of beer pong going on. At some point, however, you discover you're running short on snacks. Somebody shouts: "let's order pizza!" The idea is great, but you start to wonder... How many pizzas do you need to feed this hungry crowd? How many pizzas should I order? Now, instead of scratching your head in despair, you can simply reach for your phone and check out this pizza party calculator. With its help, not only will you determine how many pizzas for 30 people you should order, but also how much money everyone owes you! Naturally, your local pizza place might have a different approach to slicing pizza than some dudes from Omni Calculator, so make sure to double-check. The struggle is real. Number of people. Unless it's really crowded and half of the people keep disappearing mysteriously right when you need them, this should be relatively easy to assess. Hunger levels. Perform a simple check: throw a bag of chips at your guests. If it disappears mid-air, they're definitely starving, and you should hurry up with that pizza order. Your pizza of choice. 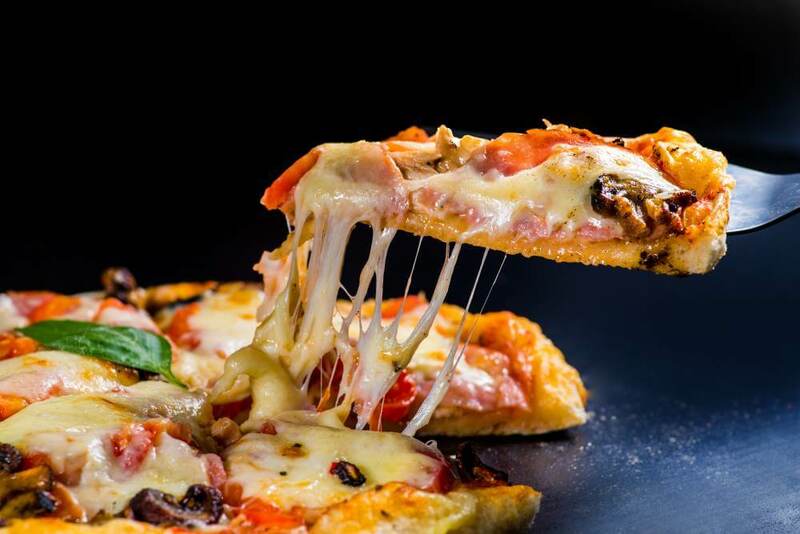 You need to fill in some information, such as the size, the number of slices (oh, the struggle), crust type, pizza type (a little bit of everything is a safe bet unless you're dead certain everyone loves Hawaii pizza) and, naturally, the price. Each of these parameters will influence your final order, so choose wisely! How many pizzas you should order. Goes without saying. Slices per person. This is what you need to tell your guests - after all, you don't want two or three gluttons to devour your entire supply of pizza, do you? If the result has some fraction and you don't want to cut the slices, you can round it down. Then, use the modulo calculator to find out how many slices are left for you or other hungry guest. Calories per person. Yes, you guessed it - if there are any people on a diet in the room, you can happily hand them a memo with the caloric value of their share. Total cost. Make sure to prepare the money beforehand. Cost per person. 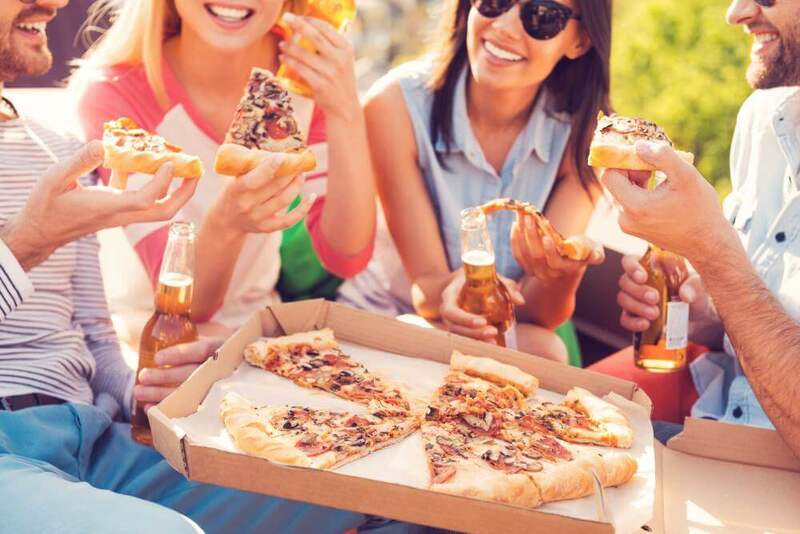 Last but not least, our pizza party calculator finds out how much everyone owes you - unless you're in a generous mood and plan to sponsor the food. Don't forget to leave a tip for your pizza! It's a good thing to share your joy with others. 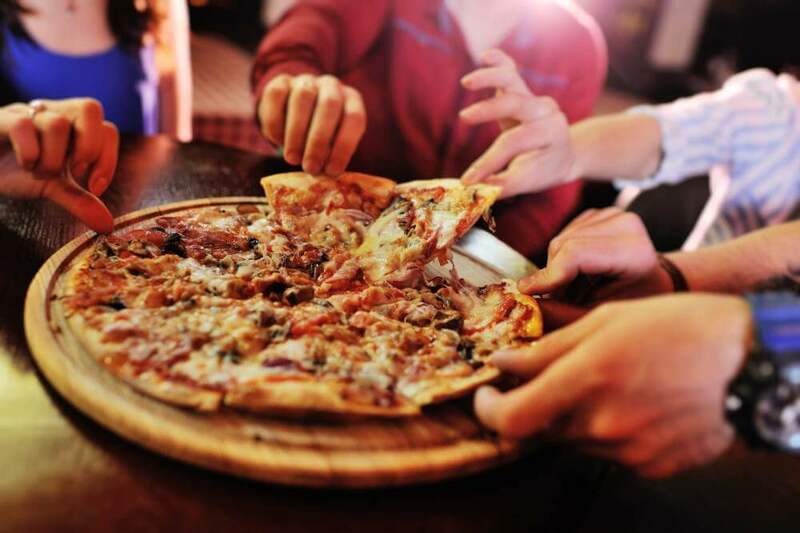 Our tip calculator will help you share the bill (and tip) equally or depending on number of eaten slices! It will also tell you how much to tip for different services in the USA, as well as in other countries. 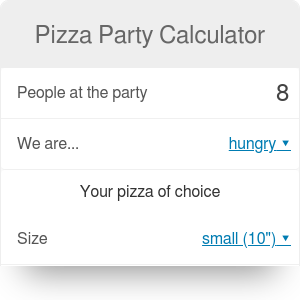 Pizza Party Calculator can be embedded on your website to enrich the content you wrote and make it easier for your visitors to understand your message.